Jet On Boylston is a new apartment development currently under construction at 1820 Boylston Avenue, Seattle. The development is scheduled for completion in 2018. 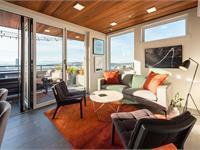 Leases for available units range in price from $1,925 to over $5,595. Jet On Boylston has a total of 56 units. Sizes range from 444 to 1290 square feet. 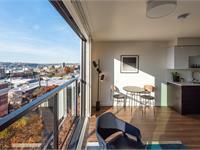 MODERN, INDUSTRIAL APARTMENTS FEATURING FLOOR-TO-CEILING VIEWS FROM SEATTLE’S CAPITOL HILL. Life at Jet fuses contemporary design with the latest in apartment living comforts, including sweeping views of the Seattle skyline, the Space Needle and the Olympic Mountains to the west. Choose from a variety of one- and two-bedroom configurations, including lofts and elevated penthouse options, featuring designer finishes in a dark, sophisticated palette. Your inquiry will be delivered to the Jet On Boylston leasing team, who will send you more information about this development.